This next car might have blended into the random menagerie of overpriced garp that is our old friend craigslist. The price is higher than you'd expect for an 80 Z and the SELLERS ALL CAPS IS NOT A GOOD SIGN...but upon closer inspection we might have found a real diamond in the rough. With only 6758 miles on the odometer, a scrumptious shade of bronzy-brown, a manual gearbox, and t-tops that show no sign of rusty trouble this car is a quad-fecta of cool. 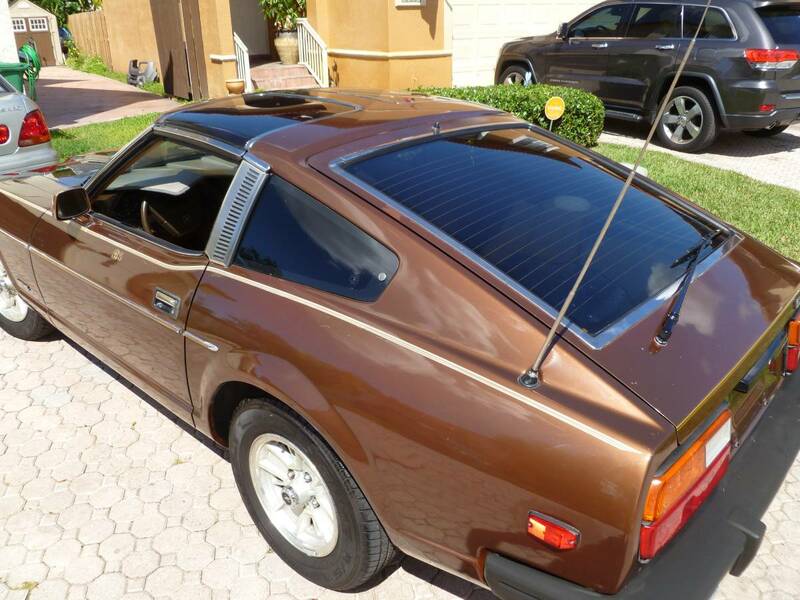 Find this 1980 Datsun 280ZX offered for $8900 in Miami Lakes, FL via craigslist. Tip from Rock On! 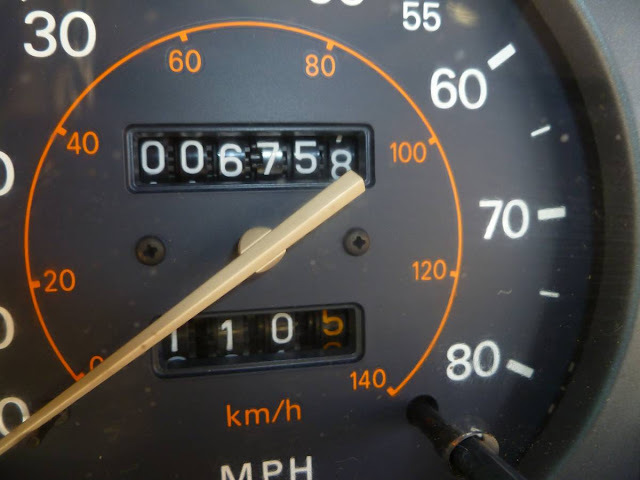 Wow, car averaged less than 200 miles a year over its life. My B.S. meter is going into the red! The ALL CAPS doesn't concern me near as much as all of the air freshener devices shown in the pictures. I especially like the "dangly air freshners dont got enough stink to them, need something bigger" can on the passenger floor. 8 track for the win! If I could only figure out where I put that John Denver cartridge. Wow! My old '82 ZX in the same shade of brown reincarnated apparently rust-free. Does it come with a registration signed by Doc Brown and Marty McFly? Only 6700 miles and the dash is trashed. Paint looks buffed to hell and back. Zero shots of the engine. Lots of wear on the center arm rest. The more I look at this the less I like it. I had not noticed the dash. Good catch. Not sure what clues you are seeing in the paint. Please share your knowledge. Thanks. It would be a mistake to assume I possess knowledge. Lots of deep swirl marks on the paint in some of the photos I associate with heavy buffing. More worrisome is the worn center arm rest, where did all the action come from if the car was barely driven? My best BaT reader impression - Does it have the original air in the tires? No! I'm pretty sure that a 1980 datsun did not have clearcoat paint and this sure looks like clearcoat. It's a very nice looking car, partially restored even, but it's not original. 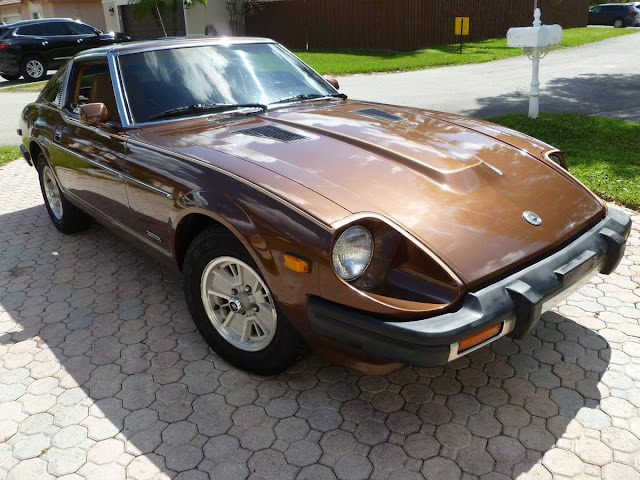 Anyway a 240Z - 280Z is original , a ZX is just a copy. Come on, it looks great for 1,000,006,758 miles.